Pakistan Tourism Development Corporation (PTDC) is planning to organize a Buddhists’ conference with an aim to promote tourism in the country. The Buddhist scholars and tour operators would be invited to attend the conference, said PTDC Managing Director Chaudhry Abdul Ghafoor. He said that Pakistan was the custodian of Gandhara Buddhist civilisation and there were numerous holy places in this country of great value for Buddhist people from across the world. The Buddhist civilisation remains in Pakistan could boost up tourists’ flow to Pakistan with proper publicity. 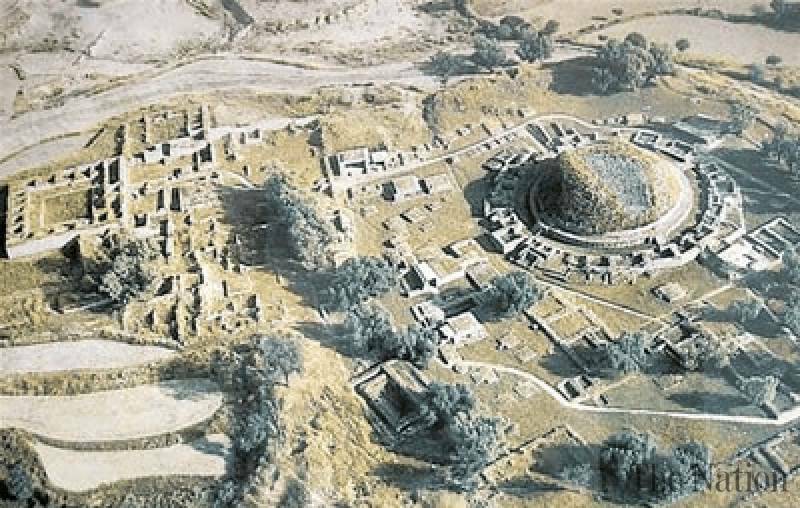 He said that the Thailand government would provide assistance for restoration/maintenance of Ghandhara archaeological sites in Taxila and Swat. He said that special tour packages would be introduced. He said publicity material on Ghandhara would be published in Thai language soon. Chaudhry Ghafoor said that PTDC would also invite travel writers to project Ghandhara heritage and highlight tourist attractions of Pakistan to enhance the soft image of Pakistan in Thailand,” he added. The PTDC intended to sign MoU with Thai Air for promotion of tourism in Pakistan. He said that PTDC was also planning to organize a Buddha heritage exhibition in Thailand to attract the Buddhist tourists to visit Pakistan to see their religious sites at Taxila, Thakt Bhai and Swat. He said that PTDC was working to promote religious tourism, eco tourism, sport tourism and health tourism in Pakistan. Ghafoor said the Chakwal was the favourite place for the tourists. The MD said that Chakwal was rich in culture and history which was visiting place of Mughals and British lords in the past. He said that Katas Mandir (temple) was 3000 years old which was situated in Choa Saidan Shah. Several temples in Katasraj were built around 900 years ago or more. He said that PTDC was working hard to improve infrastructure and other facilities which would definitely increase tourists’ flow in the country. Managing Director Abdul Ghafoor said that present democratic government under the leadership of Prime Minister Nawaz Sharif was committed to facilitating tourists as the promotion of tourism industry would not only help revive the economy but also remove any misperceptions about Pakistan. He said that the United Nations Educational, Scientific and Cultural Organization (UNESCO) has enlisted six Pakistani sites as `World Heritage sites’. ‘Pakistanis are by nature hospitable and peace-loving people where guests are greeted with a smile and considered a blessing, its colourful festivals, green valleys, fertile planes and rich cultural heritage hold great promise for tourists and visitors alike’. He said that PTDC was committed to develop and promote tourism industry in the country. ‘With continuous effort of our officers and staff, during the last financial year 2014-15, PTDC’s subsidiaries have increased their revenue and in coming years, we will soon achieve the target of becoming the self-sustained profitable organization’. As an initiative to promote tourism industry and engage youth of Pakistan, PTDC in collaboration with University of Management and Technology Lahore has launched “Pakistan Tourism Friends Club”. He said that promotion of tourism was impossible without partnership of private and public sector. He said that PTDC has started its efforts to discuss the joint ventures with various private organisations and specially the embassies of various countries in Islamabad. He said that there were a lot of opportunities for the foreign investors in the tourism industry of the country. He said that during recent meeting with Blanc Francis, Second Consul of France, he discussed the opportunities of investment in tourism sector. He announced that Pakistan tourism literature would also be printed in French language. Pakistan Tourism Development Corporation (PTDC) Managing Director Chuadhry Abdul Ghafoor called on Ambassador of Pakistan to Thailand Dr Sohail Khan during visit to Embassy in Bangkok. In the meeting they discussed the matters related to the flow of foreign tourists in Pakistan and visa issues being faced by tourists intending to visit Pakistan.